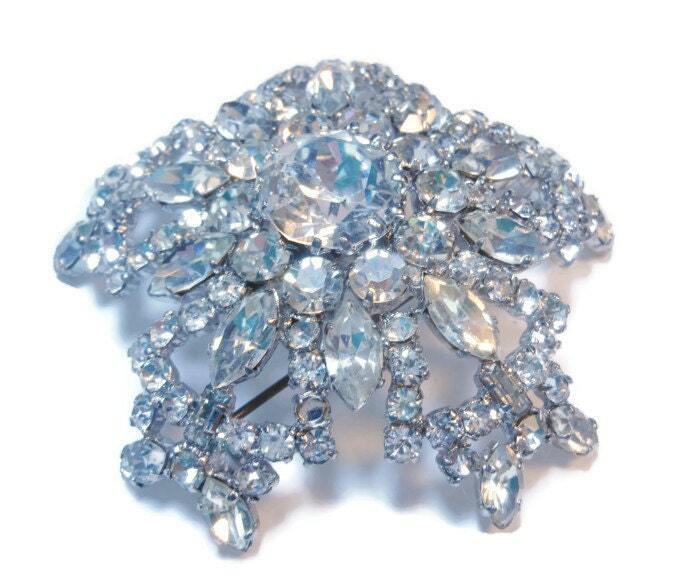 Austrian crystal brooch, large crystal domed faceted Austrian rhinestone crystals. 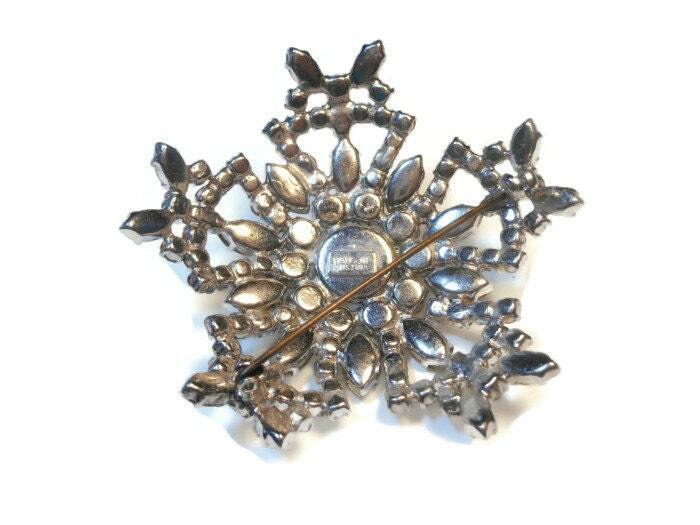 This stunning piece was made in Austria and from the make, style and use of metal I would date it in the 1940s. It has one large round faceted cabochon in the center surrounded by smaller cabs, navettes and Baguettes all prong set and faceted and all clear, clean and super sparkling! There is one missing stone which I can replace, upon request, but cannot guarantee it will be an Austrian stone. This is truly a runway, statement piece. 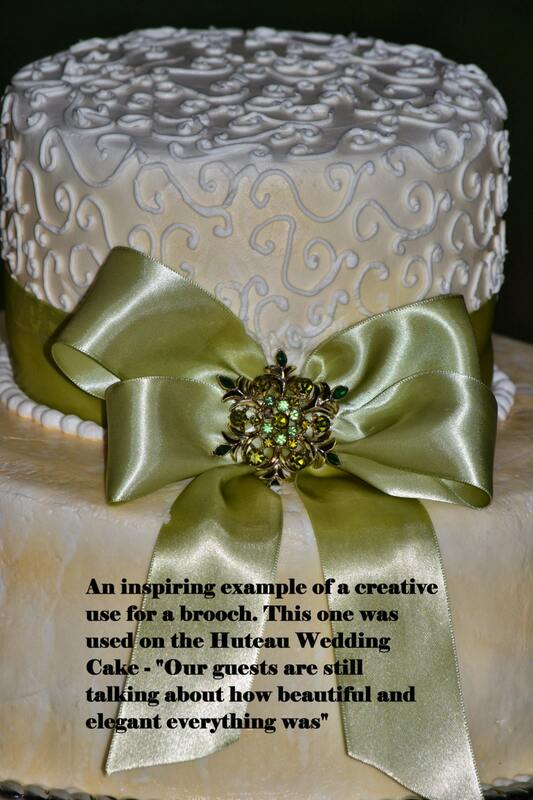 Perfect for a bride or any part of a wedding or for just that special killer little black dress! 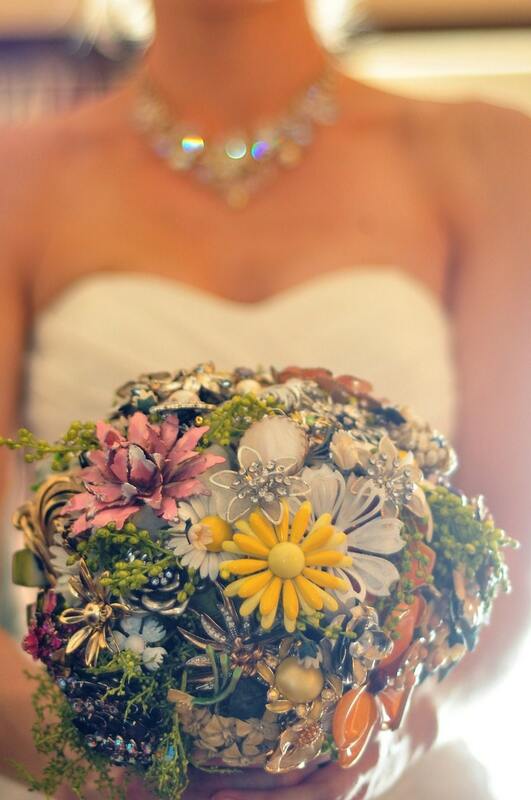 See photos for example of brooch bouquet. 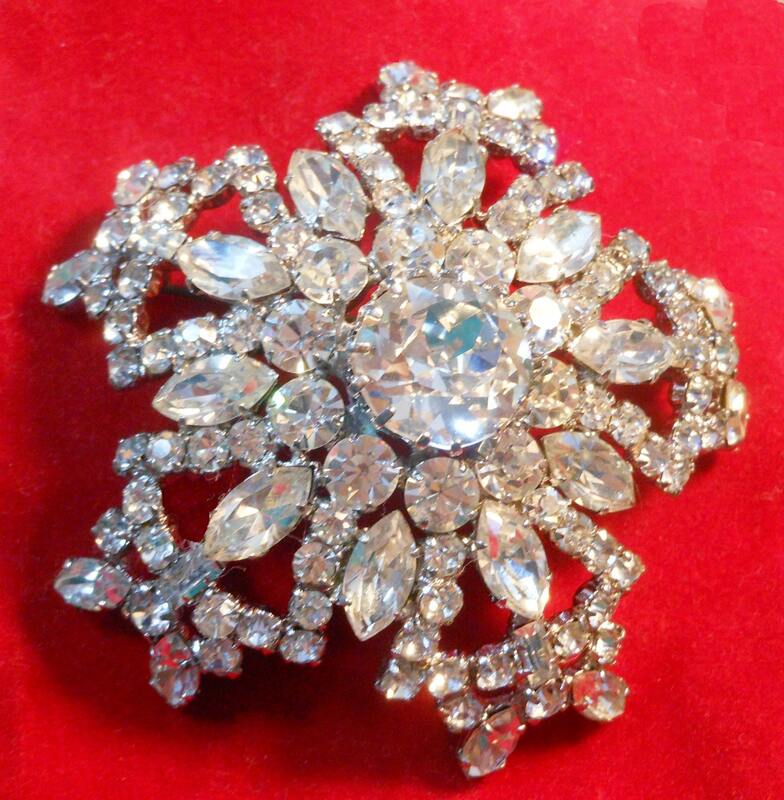 It measures an impressive 2 1/4" (5.7 cm) in diameter and, other than one missing stone, is in very good vintage condition.